In strike situations where an employer cuts off health care benefits, CWA will pay for necessary medical/hospital expenses. In some extreme cases the Fund Director may authorize payment of health care premiums (COBRA) on behalf of strikers and/or their dependents. The CWA Robert Lilja Members' Relief Fund will only pay COBRA premiums for healthcare. CWA self-insures for other medical needs such as "necessary" dental and vision care. The Robert Lilja Members' Relief Fund does not pay life insurance premiums. The term "necessary' does not include any treatment not normally covered under the employer's health plan, nor does it include any care such as elective procedures or dental visits that can be postponed until the end of the strike. Whenever an employer stops healthcare coverage during a strike and the Local's Community Services Committee decides that it is prudent to pay COBRA on behalf of the striker, then the COBRA form and necessary justification (doctor's prognosis, medical bills etc.) must be attached to the disbursement voucher and available for inspection. 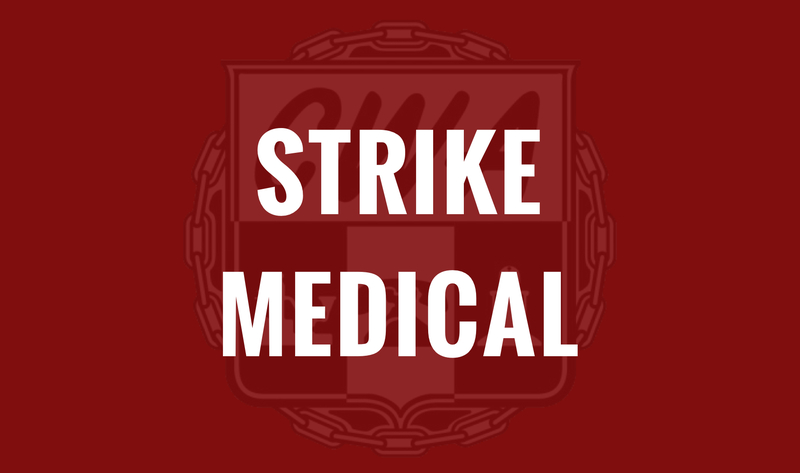 Strikers must still pay healthcare premium contributions as well as any deductibles and co-pays that existed before the strike. The concept being that no one should have a better benefit during a strike than that which was in effect before the strike. It is the responsibility of the Local's Community Services Committee to attempt to get the healthcare provider (doctor, dentist, hospital, etc.) to accept as full payment an amount less than that which was billed. A notation of this attempt must be made in that strikers' record. All bills submitted for payment must contain all the necessary information (name of patient, date of treatment and service rendered). Strikers who can obtain health care coverage through other sources, such as a spouse's health plan, should rely on those sources during the strike.